How Safe Is the Electrical System Within Your Commercial Facility? 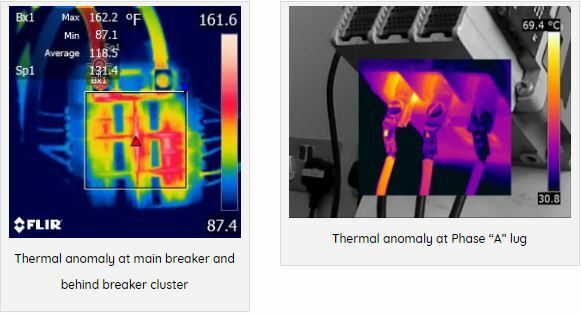 Infrared (IR) Electrical Surveys are a non-destructive and cost-effective technology which causes no disruption of service . . . no shut down is required! 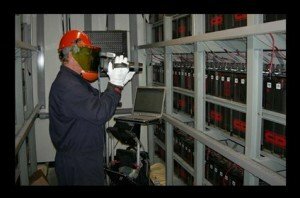 If you are a facility manager, maintenance manager, or building owner responsible for safety, production, and repair at your commercial facility, you cannot afford to be without a regular infrared thermographic survey of your electrical switch gear, distribution system, and mechanical equipment. Avoid costly downtime, lost production, unnecessary repairs, and dangerous catastrophic failures. Take advantage of Infrared Electrical Surveys to increase uptime, productivity, and profitability. The National Fire Protection Association (NFPA) 70B §11.17.5 suggests that every commercial and industrial building in the United States should have an IR survey at least once a year. Increasingly, insurance companies are requiring IR surveys of electrical and mechanical systems for their insured. Some companies may even offer discounts if you do. Advantages of an Electrical Infrared Survey: Reduce Downtime, Increase Equipment Life, Lower Risks, Comply with Electric Codes, Lower Repair Costs, Increase profits, Save on Insurance, Prevent Catastrophic Failures. Utility substations, transformers and feed poles, main incoming services, plant main knives, capacitor banks, main switchboards and disconnects, main distribution panels and main disconnects, uninterruptible power supplies, generator controls and transfer switches, main I-Line panels, lighting and receptacle panels, disconnects and combination starters, service disconnects for motors, and machine control panels. 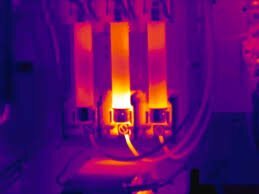 At Puget Sound Infrared, we safely and systematically evaluate the electrical components within your commercial facility using infrared technology. We then create a detailed, high-quality and easy to understand report documenting any electrical anomalies, including both digital and infrared images to aide with location. An electrical contractor can then use the information to verify and correct the problem areas prior to the situations becoming hazardous.